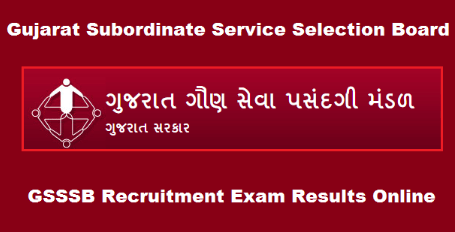 Gujarat Gaun Seva Pasandgi Mandal (GSSSB) has published the Final Result of Assistant Social Welfare Officer Post 2019. Advertisement No. of the given post is 116/2016-17. Candidates who have given examination of GSSSB Assistant Social Welfare Officer posts can check their result from given below link address. GSSSB has published name & obtained marks of selected candidates in the published result at below. Written examination of the given post was held on 07th October 2018. For more details about Assistant Social Welfare Officer post visit official website of GSSSB.